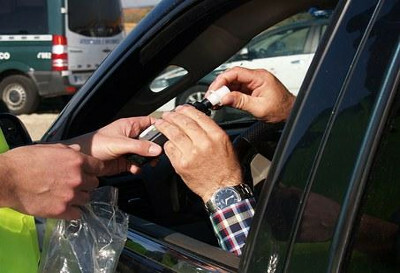 Most people who return a positive breath test will automatically plead guilty and take steps towards securing the most lenient penalty available, often seeking to avoid a criminal conviction or license disqualification. This article will discuss whether or not a breath analysis test result can be thrown out of court. One South Australian man who recorded a high range reading took his case all the way to the High Court. He argued that the breath test certificate should not be admitted into evidence as he was denied the opportunity to have a blood analysis result. This is based on the case of Police v. Dunstall (2015). The driver was stopped by the police for a random breath test. Dunstall, the driver had a breath analysis which resulted in a reading of 0.155 grams of alcohol per 100ml of blood which is more time the legal limit and was discharged with a high range PCA. The police informed the driver of his right to a blood analysis and he was taken to a hospital for the sample to be taken. However, due to a medical mishap the doctor failed to take enough blood for the sample to be analysed, which left the breath analysis result as the only evidence of the blood alcohol reading. In accordance with the South Australian law it is said that “there is a presumption that the breath analysis reading is indicative of the alcohol present in the driver’s bloodstream, as long as all procedural requirements are met”. It must be noted there is a similar provision in New South Wales under Section 109 of the Road Traffic Act 2013. However, it must be noted that a person can overturn that presumption by presenting the results of a blood analysis. As drivers who return a positive breath analysis may request a blood test; such provisions are provided for in the NSW Schedule 3 of the Road Transport Act 2013. As a result. Mr. Dunstall pleaded not guilty to the charges, basing his argument on the fact that the breath analysis should not be admitted as evidence to the court because he chose to have his blood analysed. However, due to the failure of the blood analysis, which was not his fault, the local court magistrate accepted Mr. Dunstall’s argument and he was found not guilty. Unfortunately, police appealed the case to the Supreme Court which upheld a magistrate’s decision as did the full court of the Supreme Court. However, when the matter reached the High Court, the majority upheld the appeal in favour of the police. The explanation was that because there was no statutory right for a defendant to have a blood sample taken and because there was nothing to suggest the results of the breath analysis were inaccurate, then the breath analysis still stood as evidence before the court. Therefore based on this case, it can be concluded that the only time breath analysis results will be thrown out of court is if they are inaccurate. For advice and representation contact Sydney drink driving lawyers.